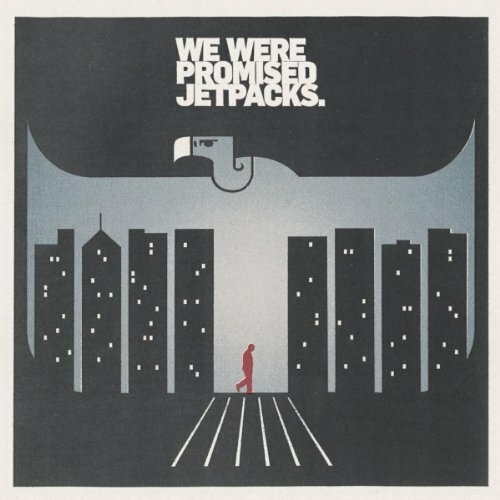 With the release of We Were Promised Jetpacks’ album In the Pit of the Stomach, fans get another taste of how “mad guitar skills” (as some people might say) take a band to a completely different level. The follow-up to These Four Walls is all guitar and a whole lot of noise. Not bad noise. Just a lot of it. Lead vocalist Adam Thompson brings a lot to the table and it shows when you listen to tracks like “Act on Impulse”. Of course, he may not have the best voice in the business, but his raspy and raw vocals continue to bring that “oomph” to the album. In the Pit of the Stomach focuses quite heavily on guitar to make it work, and as much as it is good, there is something I feel is lacking from the album. It could be that there wasn’t a song that stood out from all the others. Or, it could be that the album as a whole didn’t wow me. It seems to be that with so much focus on the using instruments as the driving force behind the album, there wasn’t enough attention paid to lyrics or the actual production of the song to set one track from another. Many tracks are similar to each other so the excitement I was looking for didn’t come through. Nonetheless, WWPJ plays their music well and they know how to use their strengths to keep their fans happy. With tracks like “Pear Tree” and “Boy in the Backseat” I can say you won’t be very disappointed. In the Pit of the Stomach is a solid effort but I know there is so much more up the band’s sleeves that none of us have heard yet.